Within the next ten years, one or more of the new space companies will develop a mature space transportation system, and the cost of space transportation will drop by a factor of between 10 and 50. While the technology for space transportation has been advancing rapidly in the past few years, the supporting technologies of space settlement have not been moving so quickly. SSI’s purpose is to minimize the time between the appearance of transportation able to support space industrialization and settlement, and the first space colonies. SSI’s distinguished board of Senior Advisers continues to expand, and increasingly plays a strong role in deciding our future direction. After a meeting of Senior Advisers and Professor Dyson in July 2011, we decided to restructure SSI’s dual Board of Governors and Board of Directors to a single, smaller and more active Board of Trustees. On December 16, 2011, the Board of Governing Members adopted new by-laws to accomplish that goal, and elected three Trustees: Professor Freeman Dyson, Gary C Hudson and myself. I continue as Chairman of the Board of Trustees, and Gary was elected to serve as President and CEO. 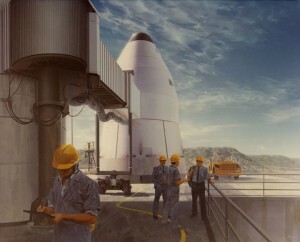 Decades ago, Gary Hudson courageously undertook the great challenge of developing a mature space transportation system. The grand promise of space settlement and space industrialization motivated him then and now. For the past several months, with the support of SSI’s Trustees and Senior Advisers, Gary has pursued a plan to accelerate the appearance of the first permanent human space settlement. Please join me in welcoming Gary Hudson as SSI’s new President. SSI has a long history and a solid legacy, based on the vision of Professor Gerard K. O’Neill and his colleagues. With over a dozen SSI conferences completed, along with research into a number of technologies important for space settlement, the Institute is well positioned to play an important role as a key primary international entity that will create the ways and means of true space settlement. This is an appropriate goal to honor Professor O’Neill’s vision. The core SSI vision is to enable permanent independent space settlements beyond Earth, established by individuals and private organizations. Unlike advocacy organizations, SSI’s focus has always been on physical demonstrations that yield measurable steps towards establishing self-sufficient space settlements. We are exploring an ambitious project in this regard right now, and hope to have some exciting news to share in the coming months. Our mission can be divided into a group of tasks focused on past, present and future. Preserving the legacy of the past is a task that requires collecting and making available to the community as much technology data relevant to space settlement as we can locate. A treasure trove of data and reports of previous successes and failures is hiding in the attics and garages of retired engineers and scientists. We must find and preserve what we can and put this information into electronic searchable format. Securing the potential of the present means identifying and supporting students and young professionals who are currently working or wish to be a part of the space settlement community. This can take the form of grants, scholarships, and participation in conferences and symposiums. Also, in compliance with non-profit regulations and law, we will act alone or in concert with others to prevent governmental actions that may delay, impede or cripple the ability to realize our space settlement vision. Inventing the future will be the most expensive and difficult task. We need to continue to identify and rate technology research and development activities and to devote funding to those that are not adequately funded by other entities. An adjunct to this task is developing the economic and legal/political foundation and tools necessary to permit individuals and private groups to establish future space settlements – a “Solar System homesteading” plan. We face a major challenge. We recognize that the world financial crisis has become structural, deep and persistent. Despite the economic challenges, we must find the funds needed to accelerate the process of developing space settlement tools, hardware and know-how. We must do this because the promise of opening the space frontier is too great to let this opportunity pass. Professor Dyson recently reminded me that the Verein für Raumschiffahrt (Society for Space Travel) was founded in Germany in 1927, during equally challenging economic times. So it is possible. There are two routes to accumulate the large amount of funding required to achieve steady and useful progress by SSI. One path is revenue generation by operating some for-profit enterprise; this was Professor O’Neill’s idea for Geostar, Inc. in the 1980s. The other path is via donation or endowment. Regrettably, the Geostar opportunity has passed us by, so the most likely near-term route to funding is a gift from a single wealthy donor. We have discussed various projects and have one in mind that we are currently exploring in more detail. This project would attempt to answer a key technical question that enables permanent human settlement of space. It will be expensive – not in comparison to a NASA venture to be sure – but for SSI, expensive indeed. We request your support in this challenging task. Our ambition is to do something bold and useful. We believe the boldness of a goal will be a help and not a hindrance to raising a significant sum. Alexander MacDonald, of Carnegie Mellon and now NASA Ames, has shown us the way forward with his historical survey illustrating the large amounts of money contributed by private donors to the establishment of American astronomy over the past two centuries. We are especially grateful to the Senior Associates, members and individual donors whose contributions have sustained SSI for nearly 35 years. We will keep you informed with further updates as SSI formulates our new approach and begins to play a significant new role in the future settlement of space. We welcome your comments and suggestions. Speaking personally, I am honored to serve in the role chosen for me to guide SSI during this transition. I was just embarking on a career in aerospace when Gerry O’Neill first published his ideas for space settlement, and I assure you they motivated me then as they still do today. It is time to finally realize his vision. Perhaps it might be useful to publish the proceedings of the recent space manufacturing conference through the Apogee books. An updated version of “The High Frontier” (with the sections about the shuttle removed) might be good as well. at it for over a year now ? generation of Lynx Space Vehicle ? To the Moon or bust .